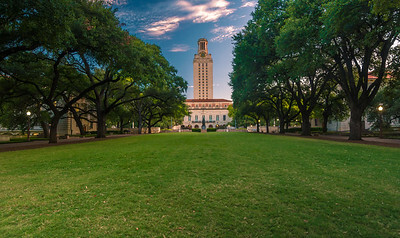 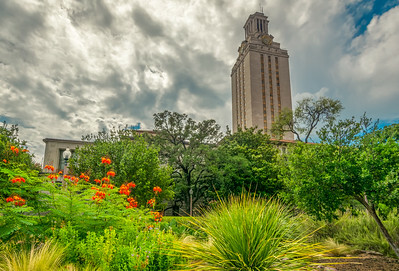 University of Texas at Austin Images. 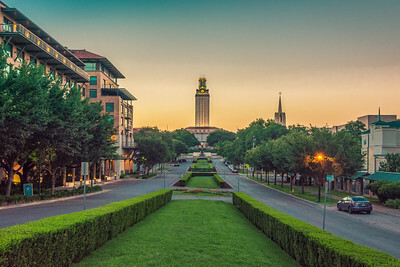 South Mall lawn at Sunrise. 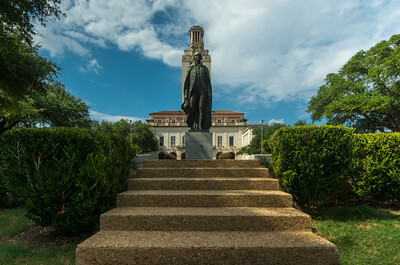 Main Building at The University of Texas at Austin with Stairs. 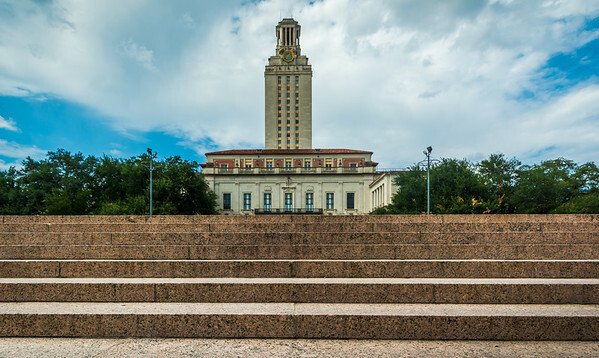 Low angle perspective of the marble stairs at the Main building at the University of Texas at Austin. 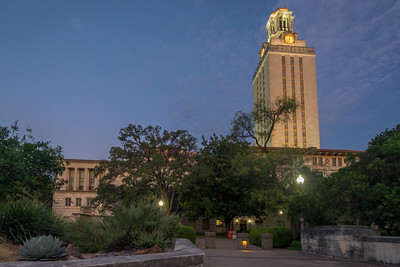 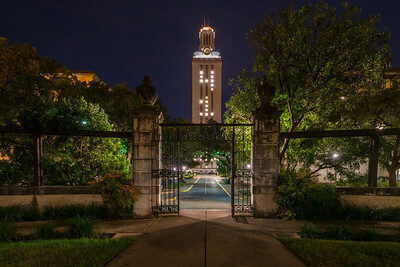 UT Tower lit 41 in tribute to former President George H. W. Bush.